Wow – talk about creative! Beautiful job Mary. 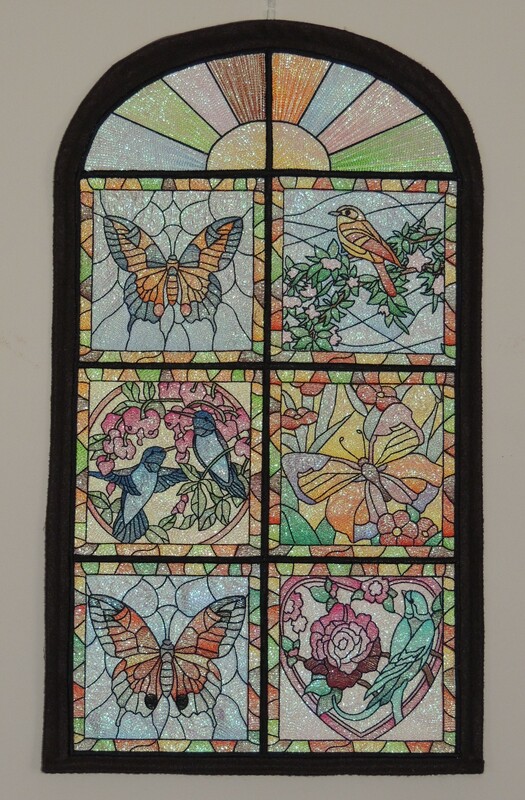 We have many sets of stained glass squares that this would work for. The top can be made like Mary did or use pretty fabric that goes with the designs. I so enjoy to see a lot of different people projects, even if the designs are the same colourchoises – use of different fabric, embellishments etc can make a totally different end-design !